soochnaseva | Ram Charan opens a bank account for the first time with Soochna Seva team’s help. Ram Charan opens a bank account for the first time with Soochna Seva team’s help. In Uttrakhand, only 58% people have a bank account, out of which 20% are above 50 years of age. 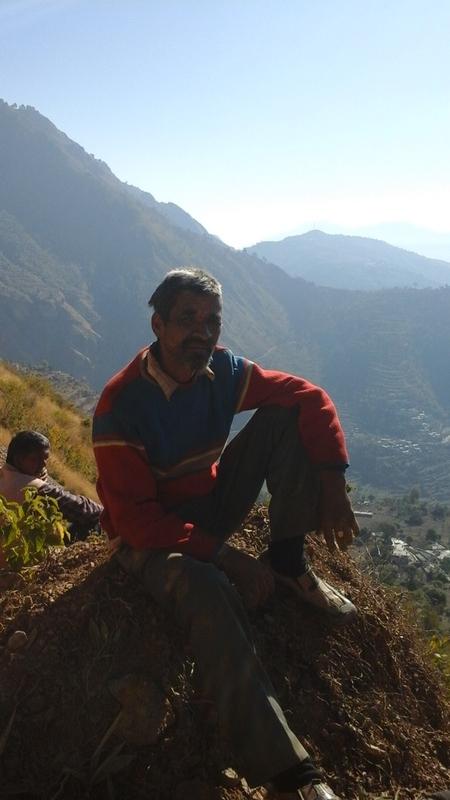 Ram Charan Singh is a 60-yr-old farmer from Dabri village of Thauldar block in Tehri Garhwal. He did not have a bank account and was always in this perception that one needs lots of money to open one. So after the launch of Pradhan Mantri Jan Dhan Yojana, he opened an account on October 20, 2014. Ram Charan is a widow and has three sons. The eldest son is 34-yrs-old and four years ago met with an accident, due to the mishap he is not able to do any work. As a primary source of income Ram Charan depended entirely on farming therefore he applied for Kisan Pension Yojana through Soochna Seva team. Soochna Seva team went a step forward and took one of his sons as a fellow in their team so that he can support his father in earning the livelihood.